Showing 50 Of 101 Results Found For 'unexplained'. An investigative documentary into the mysterious deaths surrounding the religion of Scientology. Were the unexplained deaths covered up by police and scientologists, or are they all just coincidental? 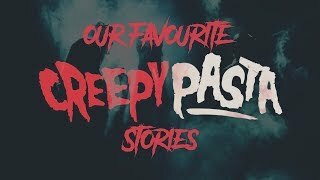 Bishop's Manor - Are You Haunted? 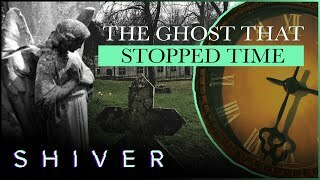 In the sixth episode of Phil and Sara Whyman's new paranormal series, the team investigate Bishop's Manor in East Yorkshire. A 700 year old property with reports of ghostly apparitions and unexplained noises. 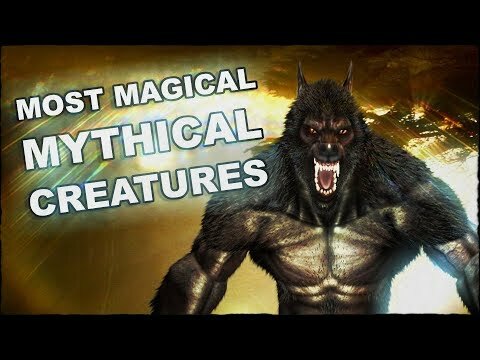 One corner of the animal kingdom is immune from extinction, the creatures that live in our imagination and every US state has its own infamous mythical beast. 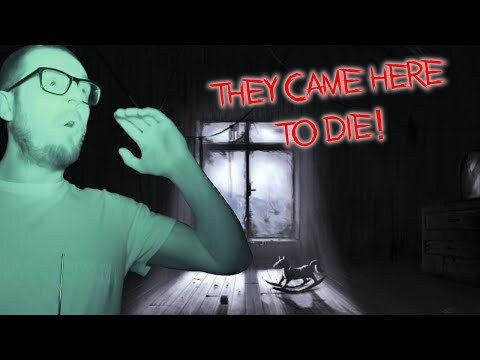 Paranormal investigator and filmmaker, Gary Jay, has caught an unexplained ghostly mist on his home CCTV camera and is asking his YouTube subscribers what they think it is. Air Midwest have reported that two pilots flying across the South West of England spotted what they described as unidentified lights in the sky. Would you sleep in this room knowing it could be watching you to? 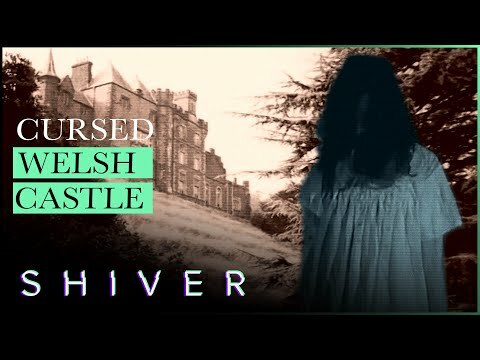 Join us as we investigate Craig Y Nos Castle, this building is notorious for unexplained haunting. Yvette Fielding and her team visit Kelham Hall in Nottinghamshire, where Glen Hunt is forced to question his skepticism after witnessing something unexplained. 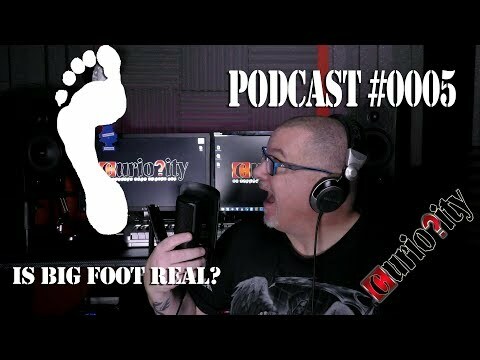 In this week's episode of the Curiosity Podcast, Gary Jay asked the question is Bigfoot real? Craig-Y-Nos in Powys Wales, was home to Opera singer Adelina Patti for over 50 years and is said to haunt this castle. With many light anomalies and noises, will the Most Haunted Team keep their heads, or will they lose their cool? 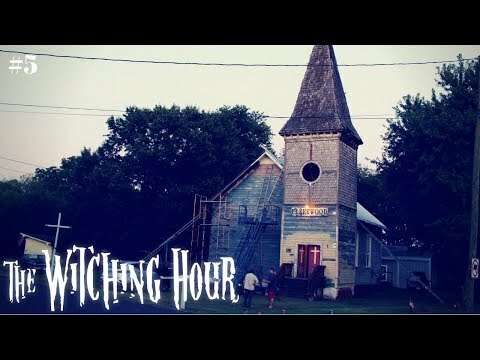 Review of Planet Weird's new five-part documentary series in which Greg Newkirk, Dana Newkirk and Karl Pfeiffer investigate claims of goblin-like creatures in Kentucky. The team visits Antwerp Mansion in Manchester and are soon surrounded by unexplained activity - with at least two members of the crew pushed to their limits. Do you know all there is to know about 2018's weirdest happenings and unexplained events? Then prove it with these 18 taxing trivia questions. New Mills Art Theatre - Are You Haunted? 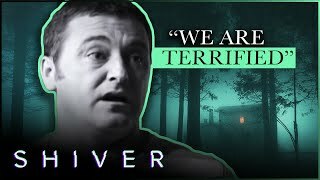 In the second episode of the series the team tackle New Mills Art Theatre in Derbyshire, which is said to be plagued by numerous unexplained incidents. Argos Paranormal returns to Brandy Station, VA, to investigate the hauntings inside the Fleetwood Church, a historical icon of both Culpeper County and the Brandy Station community. Fleetwood was constructed on top of what used to be the Brandy Graveyard, which served as both the town cemetery and a burial site for soldiers who fought in the Battle of Brandy Station. Individuals who have previously visited the church have reportedly felt a heavy atmosphere as they enter the church sanctuary, while the owner has heard unexplained voices echo throughout the church, shadow figures pass through the doorways, and objects mysteriously disappear. 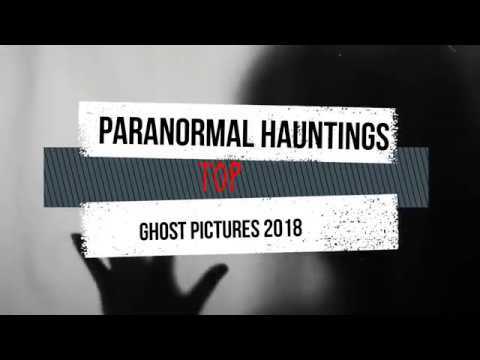 The top ghost pictures and unexplained paranormal photos posted to the Paranormal Hauntings community in 2018. Complete review of Jeremy Corbell's 2018 documentary on the life of UFO whistleblower Bob Lazar, the man who put Area 51 on the map and outed secret government projects involving extraterrestrial technology. Legendary UFO whistleblower Bob Lazar is the subject of a new documentary film released on December 4th, which aims to re-examine the former government scientist's claims. From ghosts and ghouls to spiritual entities and mythical beings, how much do you know about some of the supernatural beings famous in folklore throughout the world? On Friday 9th November, 2018 three pilots spotted an unidentified flying object off the south-west coast of Ireland and the incident is now being investigated by the Irish Aviation Authority. Yvette Fielding and the team embark on a special, uncut edition of Most Haunted at a former prison, where witnesses have reported seeing dark shadowy figures, hearing unexplained noises and seeing doors slam. 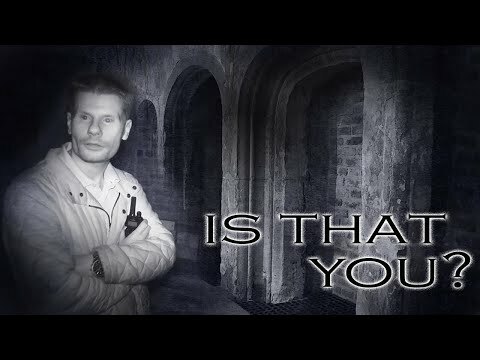 In this episode, we’re following the paranormal activity at Micklegate Bar, York. A group ghost enthusiast recently named York as a Europe’s most haunted city. Visitors at Micklegate Bar report of witnessing first hand footsteps, a talking exhibit with no one in the room, unexplained movement of artefacts and an unseen hand pulling at people’s clothes. You've heard of listed buildings, which are locations honoured as sites of special historic interest, so we thought it was time to credit Britain's most important supernatural sites. There are plenty of UFO hotspots around the world some are very famous like Rachel in Nevada, but there's also some less well known places that actually have quite a high frequency of UFO sightings. These are the ten locations where you are most likely to see unidentified aerial phenomenon. Ten extraordinary times when a photographer had no idea that they had captured an unexplained paranormal entity in an otherwise normal photograph. From creepy forests which are said to house the ghosts of the dead, to a sinister prison with a past of brutal incarceration. These are the ten locations which are most frequently described by visitors as being the most creepy on the planet. Could DNA Testing Reveal The Truth Behind The Loch Ness Monster? A team of researchers could be about to uncover evidence of the illusive beast using modern genetic code sampling technology, which aims to identify exactly what is living in the murky waters. Close encounter of the scientific kind proves a six inches long "alien" body found in Chile's Atacama desert in 2003 was human. Whether or not you believe in mermaids, fairies and unicorns yourself, there are plenty of people who do believe in mythical creatures. Breaking news stories on the paranormal, weird news, the unexplained, conspiracies and alternative science including original reporting and news analysis. A guy on Twitter received a mysterious voicemail with terrifying military codes, geographical coordinates and instructions to evacuate, but what does it mean? In 1957 a "miniature pilot flying saucer" crashed on the Silpho Moor near Scarborough, its remains went missing soon after. But, after decades hidden in a museum archive, the downed alien craft has been found. Has The Phenomenon Of Spontaneous Human Combustion Reignited? With two reports of members of the public seemingly bursting into flames at end of last year, we're asking whether 2018 could be the year that the strange phenomenon of Spontaneous Human Combustion reignites? Details have emerged of a Defense Intelligence Agency programme which was set up within the Pentagon in 2007 to investigate sightings of strange speeding aircraft and hovering objects, and military aircraft encounters with UFOs. 2017 has been an odd year, there's been an increase in numbers of flat Earthers, strange ghost sightings, UFO reports, and weird conspiracy theories. A strange video has been posted online which seem to show the body of a mermaid being dragged out of a lake in Minnesota by two men in protective clothing, after closing off the lakeside park and beach area to members of the public. Apparently this creepy creature which looks like a very ugly cat with a human face was spotted in Pahang, Malaysia, it was said to have sent locals in a frenzy. The last year has proven to be an exciting one for sky watchers in the Bristol area, and only this week more footage of a mysterious sighting above the city has emerged. A list of underground bunkers beneath Wiltshire, as well as news on the county's strangest news, including the unexplained, abandoned buildings, and secret places. Those who believe in life after death and ghosts say that a person’s soul or spirit leaves the body when they die and goes through a transformation into heaven or the spirit world. Although it’s something that cannot be proven, there is much evidence and details given from people having near death experiences to suggest that there is indeed an afterlife. A man was arrested in the US state of in Wyoming this week after behaving drunk and disorderly in public, when questioned the told police that he'd been sent back in time to warn us about an alien invasion. I've recently been getting a lot of visitors to my website from India due to a piece of content I wrote, while reading this article they've then started to explore my website and stumbled across my potion videos and paranormal content and I'm amazed by their response to it. From time to time some pretty weird objects wash ashore, some of the oddest things to wash up on land include the remains of creatures that look like sea monsters, and even human body parts. There seems to have been a rise in the number of reports from the public of creepy rings of black smoke in the sky. These unexplained floating rings have been caught in photographs and videos all around the world, including here in the UK. Modern kids stop believing in magic aged six, two years earlier than their parent's generation, according to research. Is This Leaked Interview With An Alien Really A Message From Outer Space? In July 2016 a five minute video was leak which was alleged to show an interrogation between an extraterrestrial life form and a US military officer which was carried out in 1964 as part of Project Blue Book. A list of the top ten UFO websites from around the world, the best resources for ufologists, flying saucers hunters or for those who just want to research some classic extraterrestrial sightings from the case files. Ever fancied getting paid to write about the unexplained, paranormal, myth, mysteries or conspiracies? Well, here's your chance to have an article posted on a popular and growing paranormal website and get a little cash for contributing. How well do you know the world of the paranormal? Do you know the difference between a medium and a clairvoyant? How about the origin of ghost terminology and classification? Every now and then someone appears in the world who seems out of place. No, we're not talking about Noel Edmonds. Here are three great examples of people whose existence has never been fully explained. 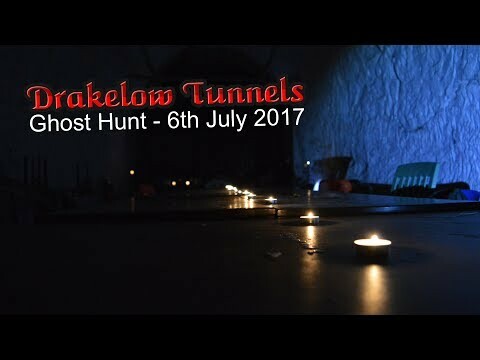 The audio highlights of a ghost hunt organised by a paranormal events company at a former underground, wartime aircraft factory in Kidderminster. During the hunt we witnessed some whistling sounds, a few knocks and bangs and unexplained flashes of light.